Plasma was discovered by Sir William Crookes in 1879 an English physicist. It is a form of matter, known as the 4th state, in addition to liquid, gas and solids. Plasma Pens convert electrical energy into an electrostatic energy which is then transmitted to the probe. At about 1mm from the skin, oxygen and nitrogen are mixed and the electrostatic energy produces an arc of plasma which is discharged on the surface of skin (epidermis). This micro electrical discharge causes excess skin to be sublimated. Sublimation is a type of phase transition, or a change in a state of matter. Similar to melting, freezing, and evaporation. 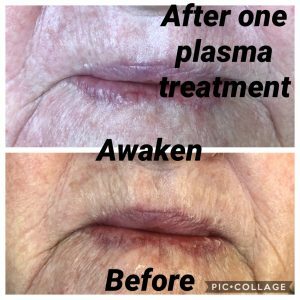 Plasma creates an immediate contraction of the skin tissue on the surface and thermal disruption in the dermis. The Plasma Pen never touches the skin. By targeting fibroblasts in the dermis, we stimulate collagen and elastin. It is this controlled trauma that creates an inflammatory response. An important part of the inflammatory response is the release of Growth Factors which send a chemical message to the skin instructing collagen strands to lay down. 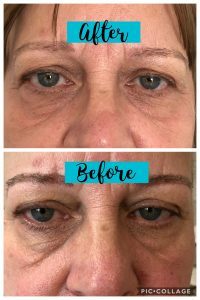 Increased levels of type 3 collagen continue to occur post-treatment and the fibroblast cells continue to produce new collagen for weeks and months after the original treatment has been performed. We follow a specific pattern to set points that looks like a grid. Treatment is performed through minute spots made with the Plasma Pen to stimulate instant contraction and tightening of skin fibres. The grid allows the excess skin to shrink, and allows us to treat specific areas of concern on the face and body without damaging surrounding tissue. This technology does not use scalpel, laser, needles, anesthetic or costly surgery, thereby avoiding all risks inherent to the traditional intervention. The treatment normally takes 30-60 minutes. Results can be seen immediately although the best appearance is seen after 6-8 weeks. Results can last up to three years with many results permanent. Results can be cumulative and in some instances just 2 or 3 treatments may be required to delivery optimal results. 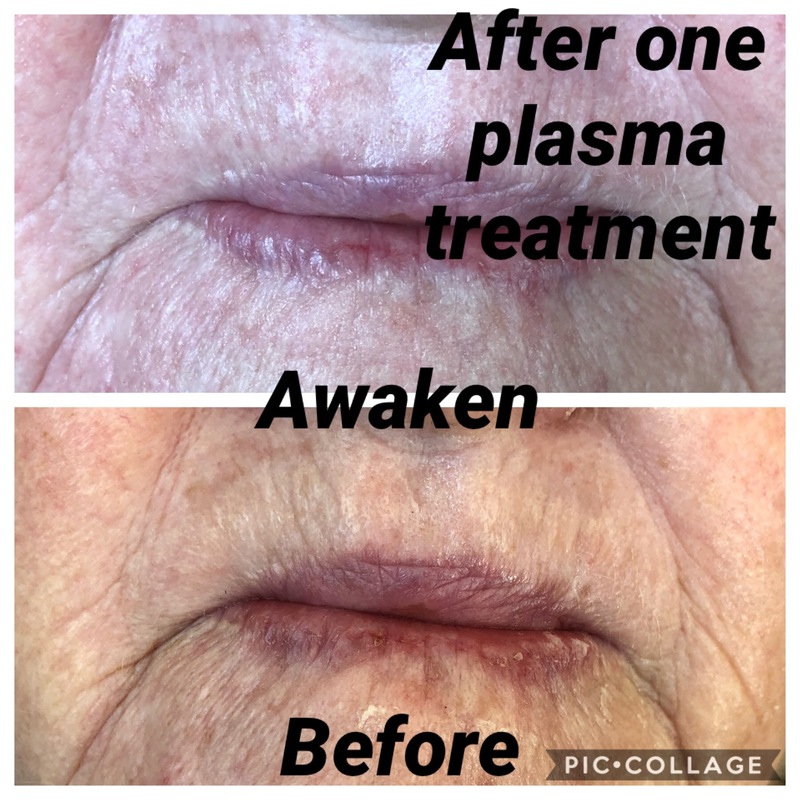 When looking at before and after photos of Plasma treatment, we want to see swelling and redness. 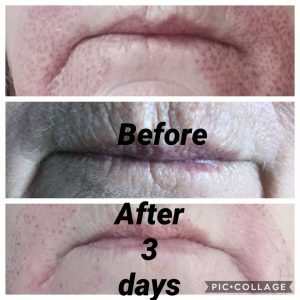 The Plasma arc creates tiny carbon crusts which look like freckles and fall off around days 4-7 leaving tightened, fresh and rejuvenated skin. Awaken Beauty recommends 1-3 treatments at 6-8 week intervals to give the results similar to a surgical procedure. Prices Starting From $198, choose 2 areas and receive third area at 50% off. Consultation required before booking a treatment.